Almost there! 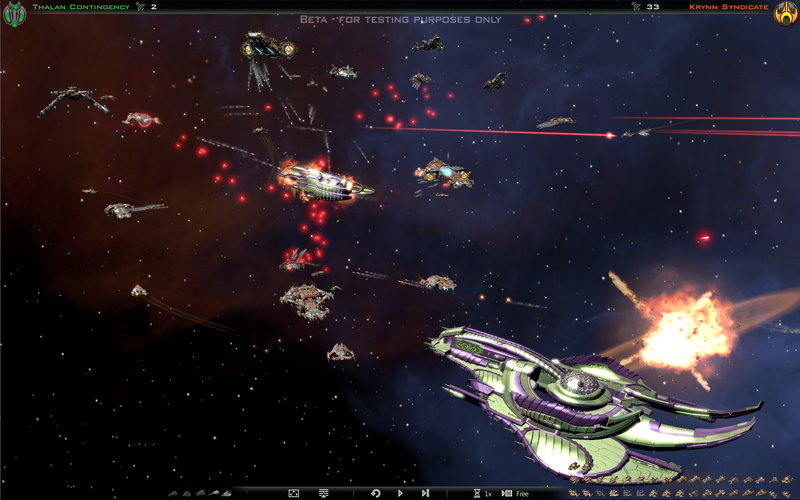 Galactic Civilizations III Beta 5 adds a ton of features, content, and polish to the game as the 1.0 release begins to peek over the horizon. All the factions are now ready to do battle, as the mysterious Thalan Contingency and reclusive Iconian Refuge join the beta. In addition, custom factions can now be created so you can finally make that peaceful race of artistic mechanical monstrosities you’ve always wanted. The truly ambitious can try their skills on our final two map sizes: Excessive and Insane. Be warned that they are appropriately named. Minor factions now appear on the map, quietly toiling away on their homeworlds with nary a care in the galaxy, just waiting for someone to stop by and make friends and definitely not invade their juicy high-class homeworlds with a fleet of dropships that darkens their alien sun. Pirates infest the inky void, causing trouble for anyone passing by. 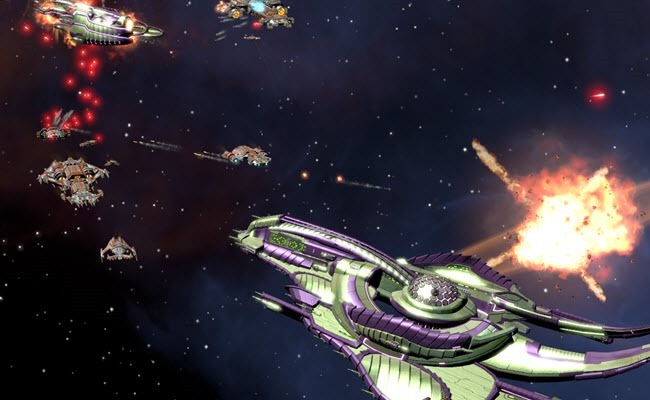 New Game Pacing and Research Rate options let you control the speed at which a game of Galactic Civilizations III develops. 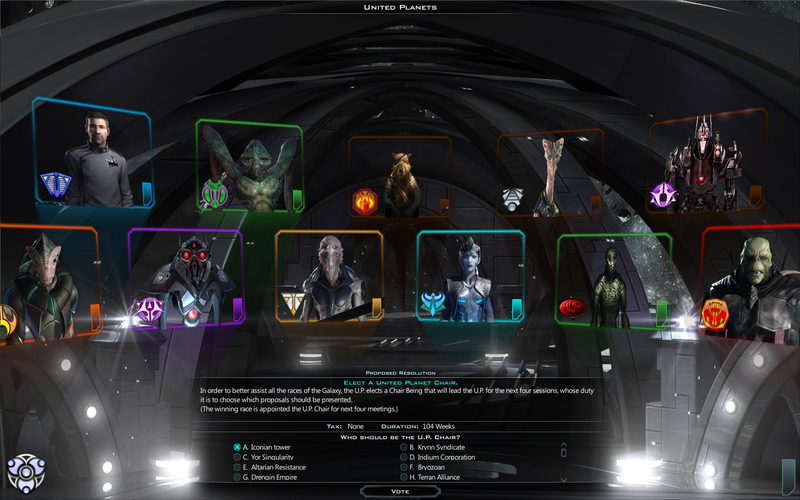 So much more awaits, from the new diplomacy screen to trade resources to modding support to new nebula art to ship combat roles. We can’t wait to hear what you think. Read the full patch notes for the full crazy-long list of changes in Beta 5. Thanks as always for your support, and happy conquering! Aw man, but Pillars of Eternity just dropped today as well! Thanks. Looking forward to, 'meeting the minors', always loved them in GC2 and being annoyed by the pirates, really they always turn up at the least opportune time. WoW, Thanks Developers! You guys are reliable and great. Correction...see copy n paste here.. Thanks for the overflow fix! And all the other stuff. I expect to spend a lot of time in beta 5. Good god. Insane really is.... Well... Well named! Gonna play one game on it without any custom factions and see how it goes. But after that it's time to fill that puppy up. Hopefully people will have created custom races for me to use by that time. Happy days are here again! Many thanks for getting Beta 5 out today!!! Thanks, Stardock! Been waiting for this update! Now I can bring back my custom civs from Gal Civs II, but better! Really unstable so far, lots of crashing. Sadly I have to agree with panpdx, each release seems to have been less stable than the last. Just had my first go at Beta 5. Crashed at the end of my first trade swap deal with another race, maybe 10 minutes into play. I really like the custom factions and ship roles. But I found a lots of small bugs in techtree/tooltips and one battle showed 0 ships lost in upper left on the summary but I lost one of them. I hope there will be another sale on Steam soon so my Brother can get a copy. He does not want to pay the full price and he is just in the room next door. Would be nice to have a "spawn" copy like Blizzard had in the past where another player in the same LAN could play the game for free (just multiplayer). Well a few things I noticed so far and I haven't started playing yet.. Creating custom races is very limited and complex. Creating one in game has limitations in the way you type. You can't copy/paste text or select it etc. Racial abilities and traits are very limited and you cannot create an overpowered unique faction. I had to create a unique trait editing game files bad I know but I have no idea yet how to make a mod..
You cannot edit .faction files to modify your faction easier than in game. 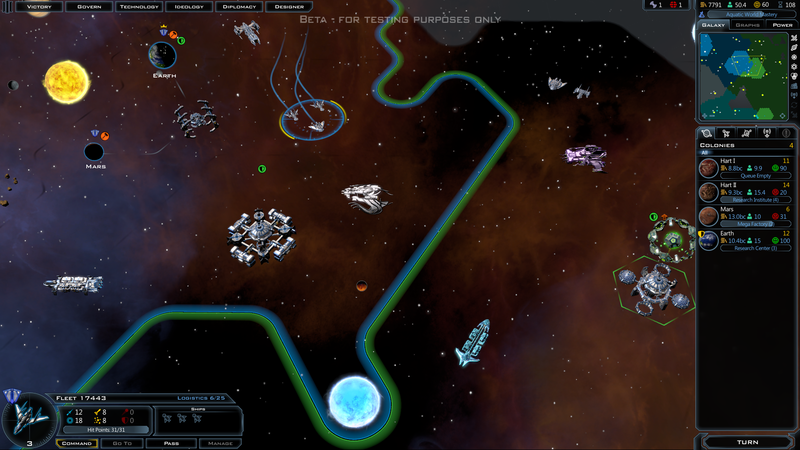 Faction colors are terrible and ship colors even worse. Creating a new set of colors is almost impossible. Very hard.. Especially on this there should be a way to create your colors in game. I managed to create a set of colors for my ships but after searching and editing game files! Eventually I created my custom race using the good old method I was using by editing FactionDefs.xml and several other game files. Research is still full screen and its huge... looks bad. And the human researcher looks more like an engineer rather scientist. I reverted to robot. After playing the game a bit, yeah, there's a lot of random crashing lately. And again, creating custom races is pretty limited when it comes to color schemes (I tried to play a game against the Thalans and man, it was hard to distinguish between Swamp and Thalan green when we touched borders). And as has been mentioned, typing text for race descriptions should be better than it was, it feels like how it was in Gal Civs II. Also, I haven't figured out how to simply edit my created race, rather than just copy-paste them having to delete the old one. It looks nice, but I'd like to be able to go for a completely customizable colour scheme, rather than a selection of schemes. I also haven't seen the edit button yet. Just delete and copy. If you are having issues, please see the support FAQ on how to submit a ticket so we can look further into it. I would consider doing this except most of the times I get a BSOD, no error files generated and my life right now is just too busy to spend what little liesure time I have to help out this way with testing. Sorry. For me, this has been the least stable build I've experienced. I can't get past turn 25. I've tried 2 games on excessive sized maps and then went back to my usual (beta 3 obviously) Immense sized map and still had the same issues, a hard lockup followed by the BSOD. A couple of times I've had a CTD but mostly BSOD when I've never had them before with this game. Going to stop now as these issues are trashing my OS and HD too much for me to want to try any more despite how anxious I was to play this version. I'll wait for the next patch. Still very excited about the game! Keep going guys, you'll get there soon. EDIT: I must first apologize. This aging brain evidently produced a spontaneous brain fart that resulted in me totally spacing out that at the beginning of this month I started an experiment where I let my BIOS dynamically overclock my system. It worked so well that I forgot about the "experiment" until today... So I put my settings back to where they were before this experiment and voila! No more BSOD. So I've now been able to spend a couple of hours with this puppy and am greatly pleased as I thought I would be. I've spotted a couple of issues and will look in Seilore's thread to see if they're there and if not post about them myself. Great job so far guys! When your creating a custom race I assume you can use the pictures of existing minor races as well as major ones. Do the minor factions actually have any animated loop videos of their faction leader in the same way that the major races do? thank you guys! This update fixed soo many crashes! And the new features 😍!!! I could waste time all see on this beta alone, can't wait for the full game! Would like to lodge a ticket if only it worked.